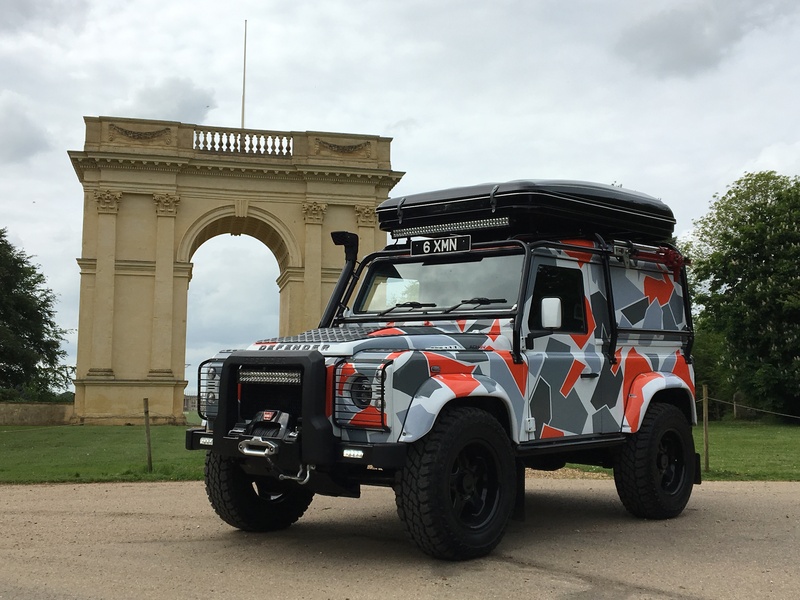 Previously put together by another company, this 2014 Land Rover Defender 90 came to us a year later for a complete external rebuild. The customer, not happy with what had been produced before came to us for a fresh approach. Well, what else could we do? Part of the remit was an Arctic camouflage effect paint job, we had to oblige. Well if it’s the end of the World, who cares, go wild!! Overflowing with accessories this 90 really needed to be a 110 to fit everything in. 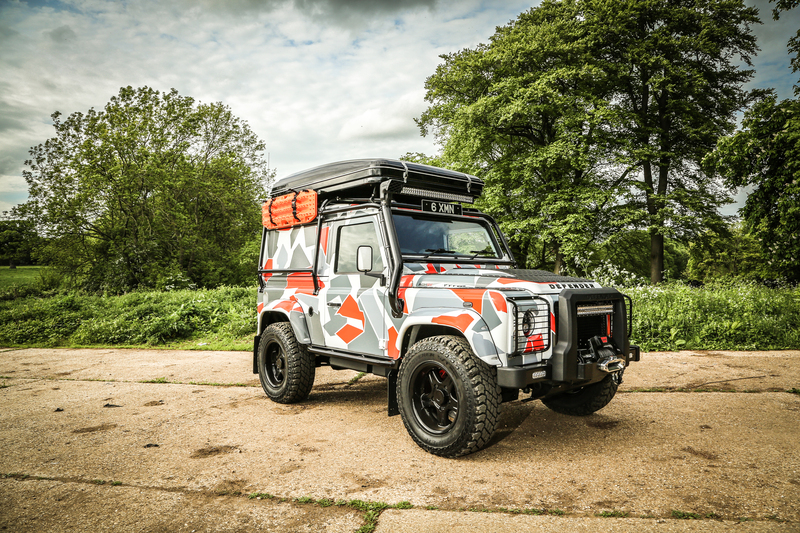 Externally there is a comprehensive roll cage and roof rack fitted with an Auto-Home roof tent. Also outside is a Warn winch, LED lights, Snorkel, Hi-Lift jack, Maxtrax and rock sliders. 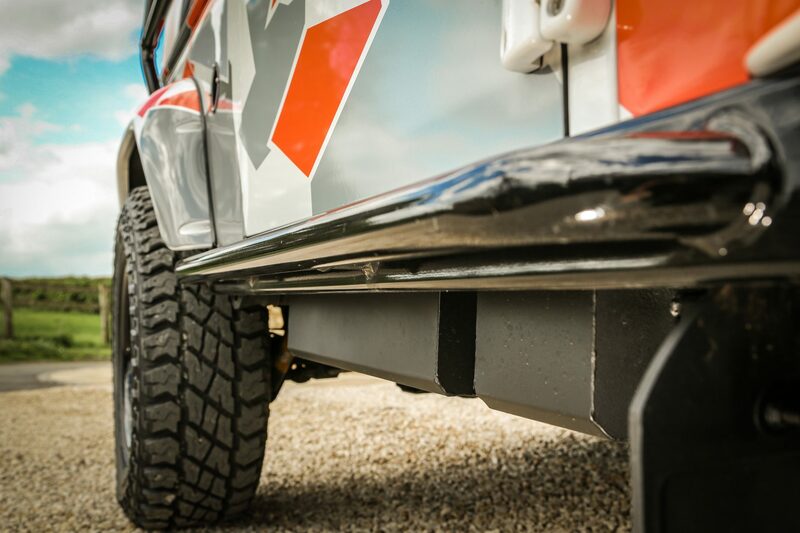 Underneath there is our air suspension system to greatly improve the ride and carrying capacity. There is a long range fuel tank that more than doubles the vehicles range. Inside there are Recaro seats, a Fridge, Inverter, drawer system and 1000 watt stereo system. We now have this very individual truck back in for a rebuild. 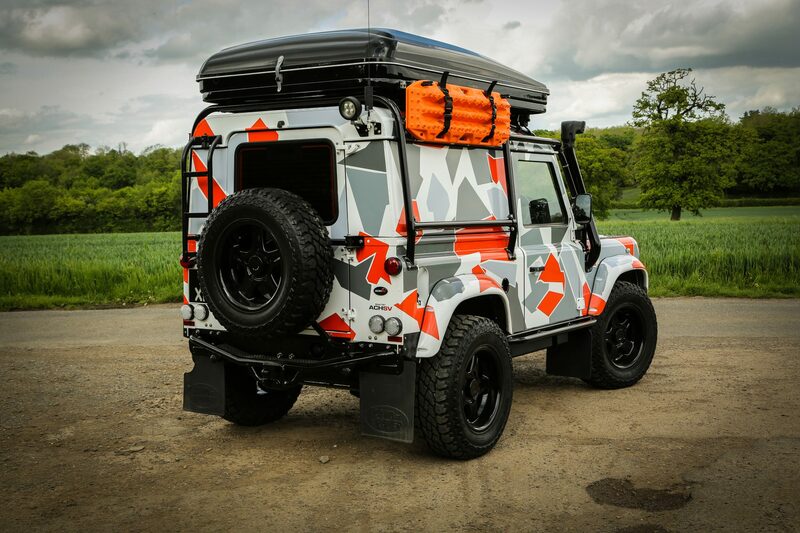 Based on the Isle of Man, it seems there is another Defender on the Island that has made an attempt to recreate the look of this very special truck. So it’s back in for a complete rebuild. We will be showcasing this truck soon when it is completed but here is a quick run down of the changes to come. Bigger tyres and hand made wider arches. Custom made side lockers for more storage space. Bigger Turbo and remap. Solar panels and Kayak holders after removing the tent. Full respray in special one-off colour. One-off bespoke front bumper. 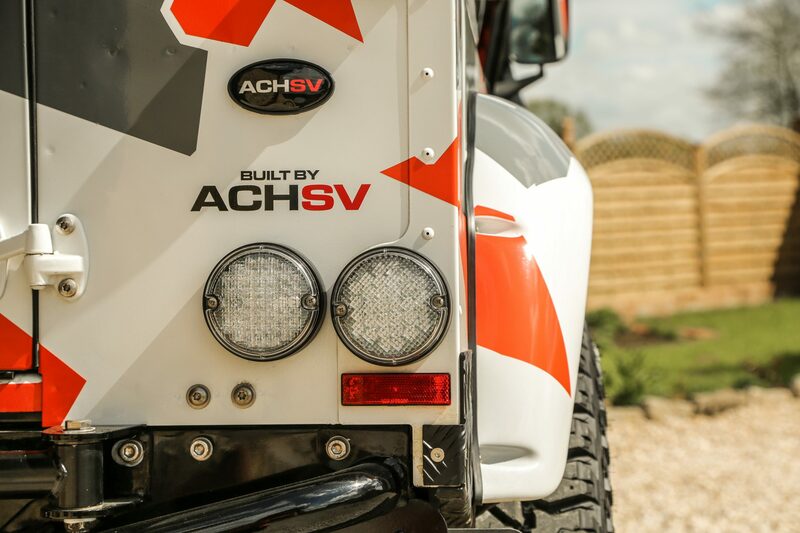 One-off bespoke rear winch bumper with wheel carrier.